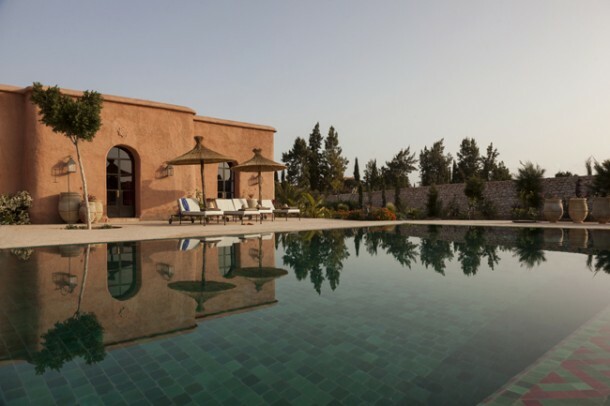 There are three spacious villas, each sleeping 8 to 10 persons, located just outside the gardens of the Jardin des Douars hotel. 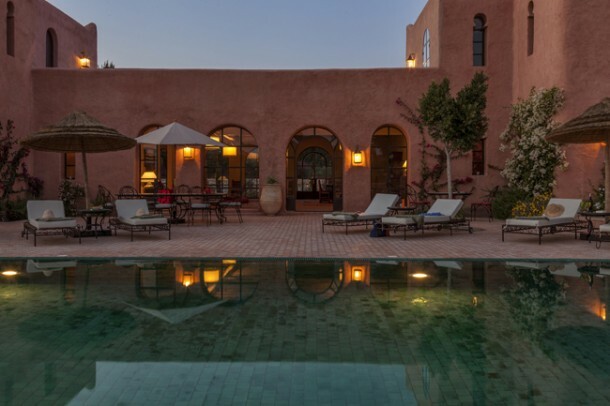 Located about a 10 minute drive from the medina at Essaouira, these are a great place to stay whether you are visiting Morocco for the first time or returning. 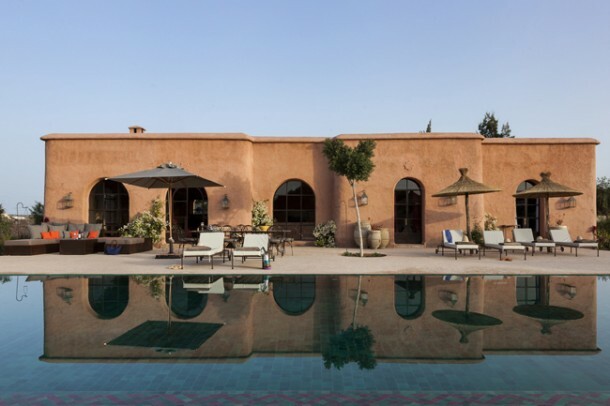 Calm and peaceful with an authentic charm, the villas each have their own pool and lovely gardens. There is plenty of space both inside and outside. 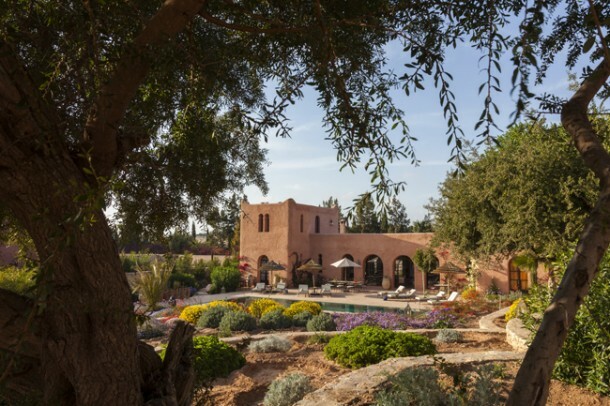 The villas are all different, but all are designed with Moroccan coloured tiles and architecture. There are, two with both ground and first floor accommodation, and one with all ground floor only. 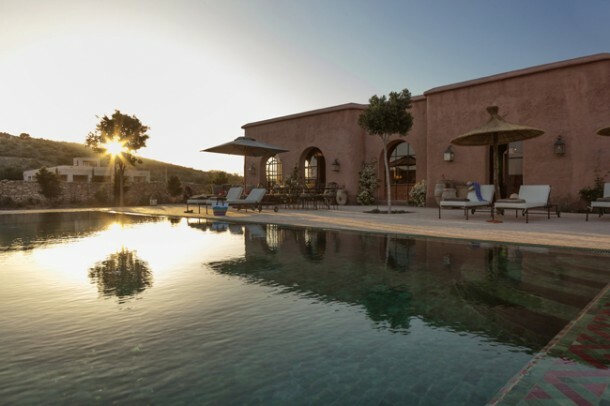 Each villa has 4 bedrooms and all come with their own pool. 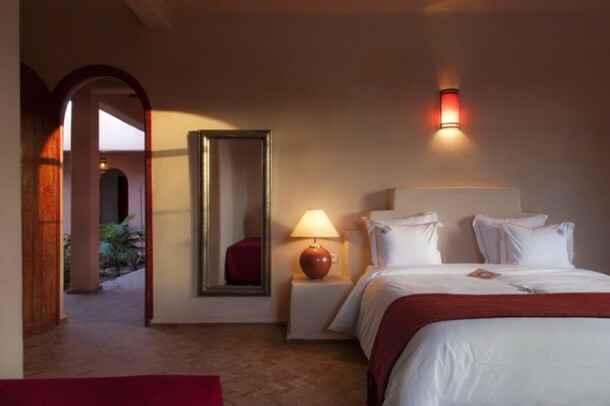 Each bedroom has an en-suite bath or shower, and air conditioner/heater. A house cook will prepare breakfast for you, if you would like, and you can use the hotel for other meals. 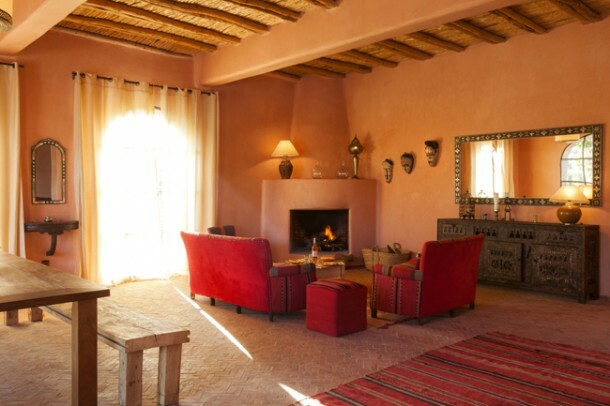 Alternatively, you can have a cook for your whole stay and enjoy great Moroccan cuisine cooked for you at the villa. 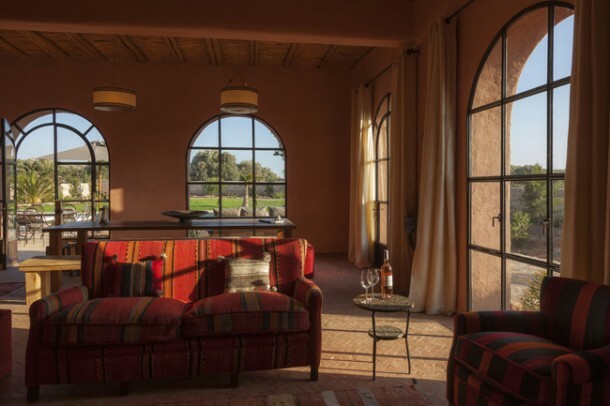 Eat outside in the gorgeous gardens and terraces, have a barbeque or eat in the spacious dining room in your own villa. 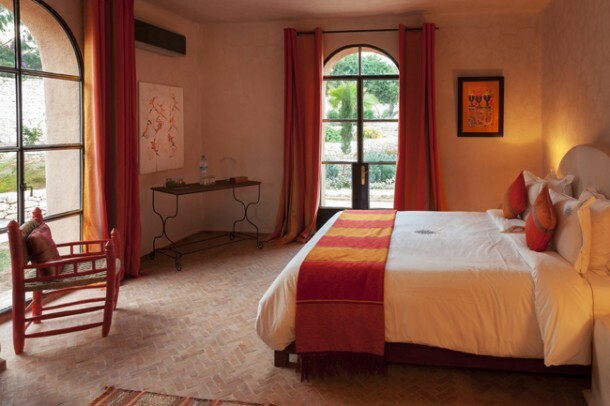 Prices are about £350.00 per night with breakfast included if you would like. There is a tourist tax of £2.00 per night/per villa to pay additional to the villa rate (payable locally). For some times of the year there may be a minimum number of nights to stay. 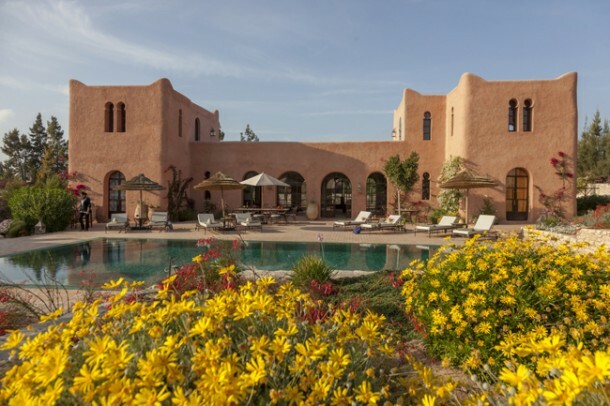 This gorgeous hotel situated on the banks of a river and about 10 minutes drive from the medina at Essaouira. Prices range from about £75.00 per night, bed and breakfast to £280.00 per night depending on room.